Around Here We : Chalk it Out! Pick up a piece of chalk or two, find an empty pavement and make it your stunning success. 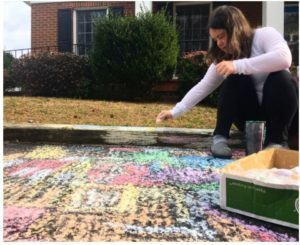 You’ll be surprised at the masterpieces you can create with a simple piece of chalk, feel-good music and welcoming weather. All while soaking in some vitamin D! Does your area have a city park? What about a nature walk, or a Botanical Garden? We did some searching, and quickly found Lewis Ginter Botanical Gardens in Richmond, VA. What a fantastic place to explore! 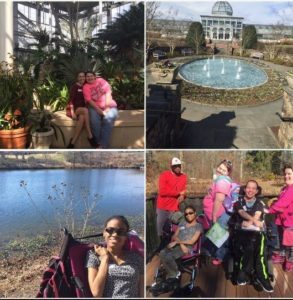 We caught a glimpse of new flowers beginning to blossom, ate our lunch right beside a lake, saw huge plants towering in the greenhouse , and even did some plant research in the Lewis Ginter Library. 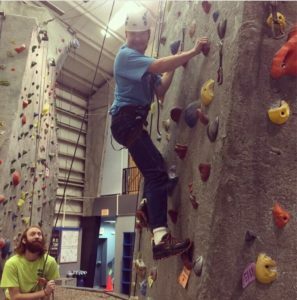 We definitely recommend adding this sunny day activity to your “to-do” list if you are in the Richmond area! Around Here We: Get ACTIVE! Daydreaming, surrounded by some flowers, for a couple of hours on a beautiful day! 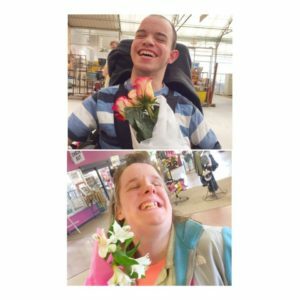 We visited Boulevard Flower Gardens in Chester VA, and took some floral arrangements home with us for keepsake. The variety in their garden is beautiful, not to mention their indoor fish aquarium, outdoor mini zoo, and café for a lunch stop. We totally suggest that everyone wake up and smell the roses, or the lilies, or the dandelions on a warm spring day! Around Here We: Park it like it’s hot! Nothing beats visiting a local park on gorgeous day! It’s also one of the most inexpensive experiences that you can create! Sunday Park in Hopewell is one of our favorites. This park is not only full of ideal scenery, but packed with things to do. 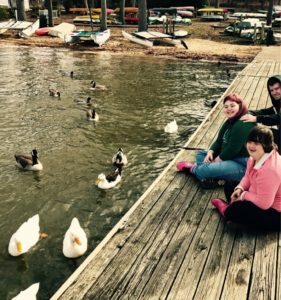 We love to visit the ducks, feed them, and hang out on the dock. Bringing your lunch to the park is also recommended for an outdoor dining twist, picnic style. Bring a friend, or two, or just you and visit a free park to pass the time on a spring day. Go out and get some fresh spring air. Find a dandelion, make a wish and blow. Get some ice cream from your favorite creamery. The ideas for things to do on a warm day are endless, explore, try new things! Let us know how it goes!